Among Islamic civilizations, if there is one that has transcended the glory and pomp of all that was royalty, it is undoubtedly that of the Ottoman Empire. 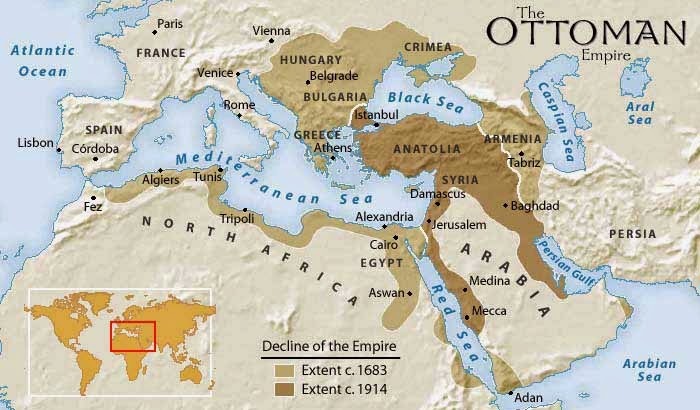 The Ottomans ruled from 1299 to 1922 and reached their peak after the fall of Constantinople (what is today Istanbul) in 1453. At their greatest extent, an area twice the size of India was under their rule including key strategic cities such as Cairo, Mecca, Medina, Damascus and Jerusalem. Where the Byzantine Empire (Roman) died, the Ottoman Empire flourished and thus Osman, the founder had six generations comprising of 42 sultans after him who carried on the Ottoman name. The story of Osman and how he founded the Empire is intriguing as it again proves that events in history like all things in life have a deeper, finer purpose that can only be seen in retrospect. 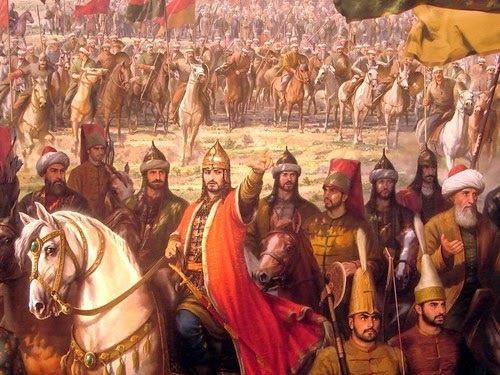 Genghis Khan and his Mongol forces moved westwards towards the end of 13th century forcing fleeing Muslims in the region to move closer to Constantinople, establish the Sultanate of Rum and thus setting the stage for the start of the mighty Ottoman Empire. The Sultanate of Rum (or Roman Sultanate) was a loose area of land controlled by Muslim tribes taken over from the Roman Byzantine rule as a result of the threat of Mongol invasions. Osman’s father was one of the tribe leaders of the Sultanate of Rum and on his demise, the title of ‘Bey’ (tribe leader) went to young Osman. The Muslim tribes in the region were highly influenced by Sufi teachings and among the Sufi preachers at the time was a man named Sheikh Edebali. The Sheikh was a close friend and preacher to Osman and on his guidance, Osman used to visit the Sheikh very often. One night Osman had a dream where the sheikh had appeared with a crescent moon rising from his chest and a tree growing to cover the world, symbolically indicating to Osman that it was time to be independent from the Sultanate of Rum and move westward to conquer the Roman Byzantines. 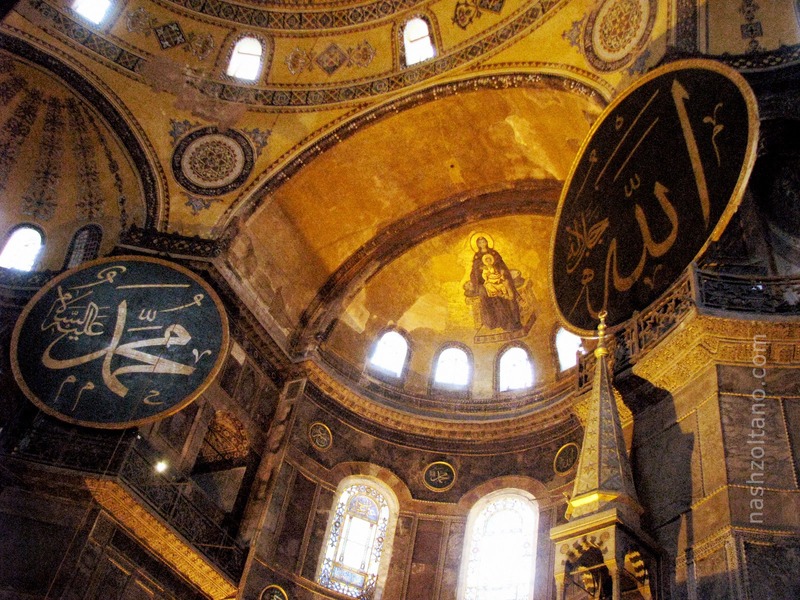 After the incident, Osman found renewed confidence and received blessings from the Sheikh to conquer all of Byzantium except for Constantinople (Istanbul) which would be conquered 150 odd years later by his great grandson. Interestingly, the dream spawned the symbol of the Crescent moon on Osman’s military flag which is still used as a Turkish and Islamic marking. leader be, and what a wonderful army will that army be!" His story, like his great grandfather, involves mystical circumstances in that just like Osman, Mehmet was close to a Sheikh by the name of Aksemsuddin who was both a Sufi preacher as well as a man of science. At the time, Byzantine was already weak with its lands conquered and most of its people killed in war and through disease. The final strong stronghold for the Byzantines was Constantinople. Mehmet made numerous efforts to scale the walls of the city through the sea route by having complete control of the Bosporus strait but could not succeed. 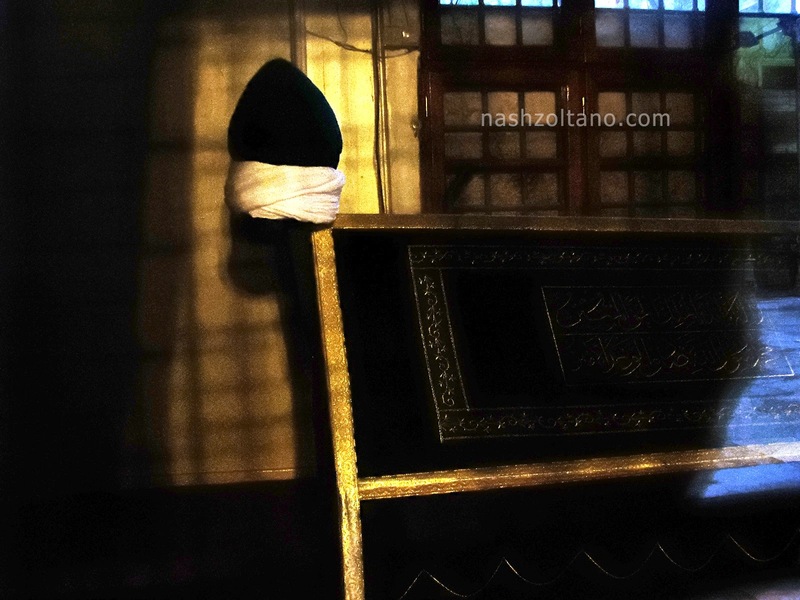 Aksemsuddin reportedly on one of the nights had a dream, in which he was instructed by a voice to identify the tomb of Ayub al Ansari, a companion of the prophet and on doing this, Constantinople would be theirs. Owing to the Hadith mentioned above, this was not the first time that Muslims had set out to conquer Constantinople. Various Islamic leaders set out in the 8th and 9th centuries to capture this city and it was during one of these expeditions that Ayub al Ansari, the standard flag bearer and close companion of the prophet was killed in war. His body assumed to be buried among the casualties on that fateful day somewhere in the Anatolian plains. On hearing of Aksemsuddin’s dream, Mehmet immediately dispatched a team led by Aksemsuddin in search of the grave and on finding it declared a proper burial for this companion of the prophet. Shortly afterwards, Constantinople fell and in honor of Ayub Al Ansari, Mehmet built the Eyup Sultan Mosque complex in Istanbul which is even today a sacred location for Turkish Muslims. Post Constantinople, Mehmet led numerous campaigns to capture large portions of Eastern Europe thus expanding the Ottoman Empire to Europe. 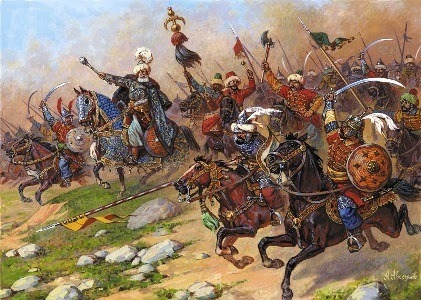 The campaigns were comprised largely of “holy warriors” from the Sultanate of Rum called the ‘Ghazis’. Interestingly, in one of these campaigns, Mehmet in retaliation for the killing of numerous Ghazis, attacked the Romanian ruler Vlad Dracul who is the inspiration for the character ‘Count Dracula’. The Ottoman Empire peaked in 1520 when Suleiman, the great grandson of Mehmet took over its reigns. It was in fact Suleiman’s father Selim who shortly before his death captured large parts of the Middle East including Mecca and Medina thus establishing the Ottomans as the Custodians of the two Holy Mosques- a title reserved for the Prophet and his caliphs. Consequently, when Suleiman took over, not only was he the ruler of Ottoman people, but he also had the additional responsibility of taking care of the two Holy Mosques and tending to the needs of a million Muslims. This additional responsibility did not deter the young Sultan as he laid out for the first time in Ottoman history, a set of laws to govern the ever expanding Empire. With these laws in place, the Empire now was complete and stable. 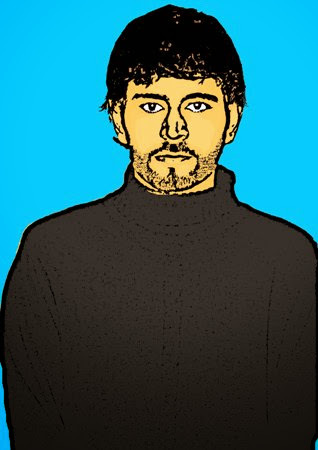 Suleiman was a man of style, artistic by nature with an eye for good poetry. He identified the success of his Empire with good infrastructure and to meet these needs, he appointed the great Mimar Sinan as his Chief Architect. With the help of Sinan, over 400 major architectural monuments were built, most of which are icons of modern day Turkey including the Blue Mosque, Sulamaniye Mosque and Selimiye Mosque. 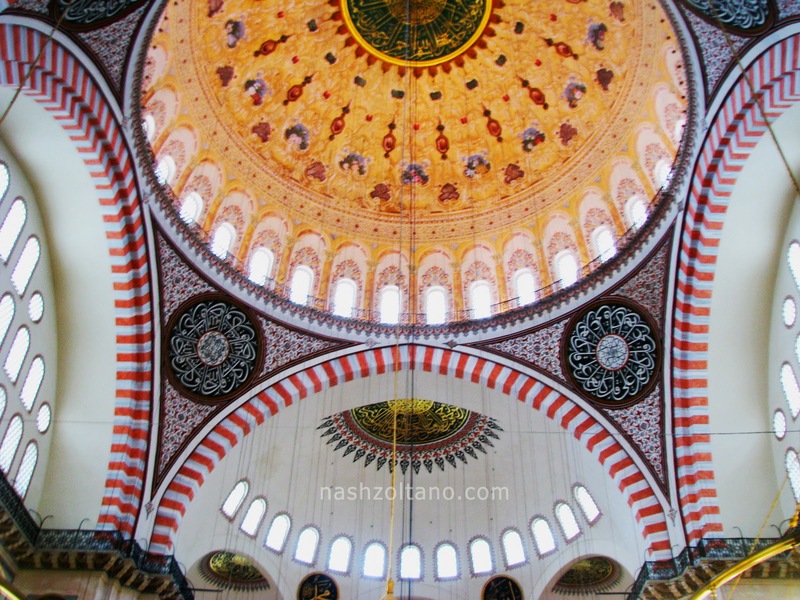 Mimar Sinan was so good at his architectural prowess that his apprentices would later apply it to structures outside the Ottoman Empire such as the Taj Mahal in India. Aside from the grandeur and showmanship that Suleiman was known for, he was also the most maverick among the Sultans. Breaking away from Ottoman traditions, he married a Christian slave girl Roxelana (Hurrem Sultan). Such was Roxelana’s influence in Suleiman’s administrative decisions that she managed to convince the Sultan to let her stay throughout his reign even though it was customary for wives who bore sons to be transferred to various provinces in the Empire. 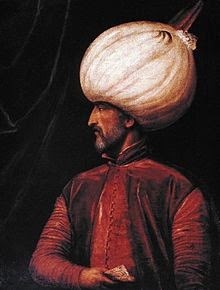 Suleiman was also the first to assign an unimaginable amount of power and control to the Grand Vizier, a title reserved previously for advisors to the Sultan. During Suleiman’s time, his close friend and aide Ibrahim Pasha was made the Grand Vizier only to be executed by Suleiman a few years later owing to the emerging threat of the Vizier in overthrowing the Sultan.